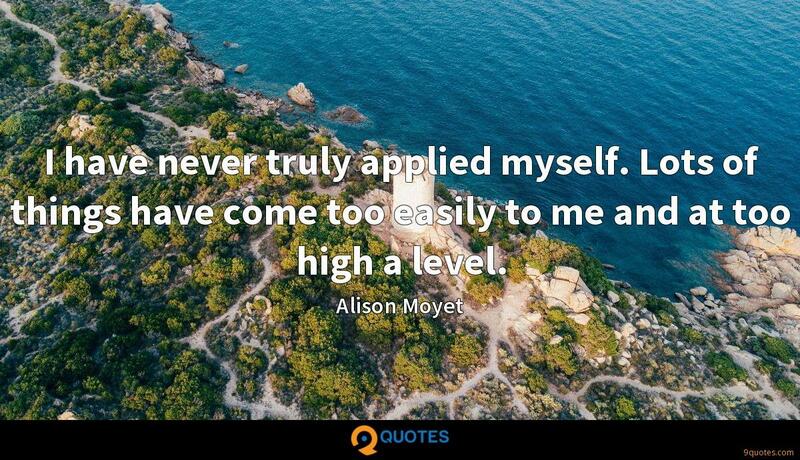 I have never truly applied myself. Lots of things have come too easily to me and at too high a level. 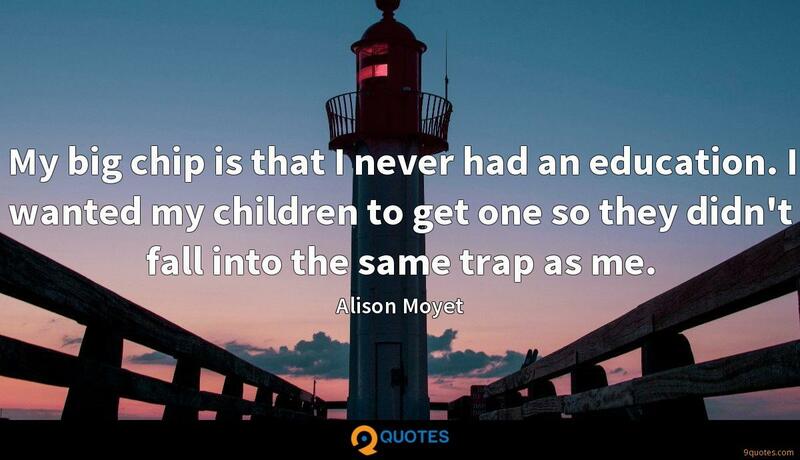 Alison Moyet Quotes. 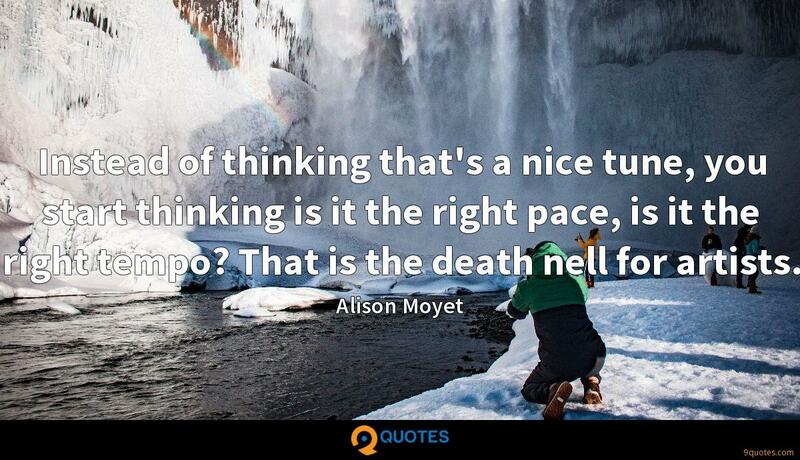 9quotes.com, 2018. http://www.9quotes.com/quote/alison-moyet-419858, accessed 23 April, 2019. We have people we admire, like Einstein, saying mystery is the most beautiful thing a human being can experience. Yet, everywhere in our culture, everything that is truly mysterious is immediately dismissed. I realize that a lot of business leaders may disagree with me, but I truly believe that God belongs in what my company does. By putting Him first in my operations, He can bless what I attempt. Our kids are not Jewish, and they're not Catholic. They're not Episcopalian. They're not Buddhist. They're not anything. We do all the holidays to keep the traditions and the culture going, but I truly don't have a great feeling about any particular organized religion, and I don't think it's right to impose one on my kids. I truly think a long career is to keep the audience guessing and not being able to be boxed, and for me, I'm not hell-bent on playing the lead in things as long its an interesting character with phenomenally talented people, and it's a script that I feel is genuinely innovative, creative, and potentially interesting for an audience. I love being middle-aged in general. I'm more at peace with myself now. I still have tormented times, but they are few and far between. You don't feel you have to be the centre of your world when you get older. Becoming a mother had been a turning point which stopped me from being the centre of my world. My big chip is that I never had an education. I wanted my children to get one so they didn't fall into the same trap as me. I was always an odd girl; I managed to alienate a lot of people. I felt like a square peg in a round hole in the music industry and created a lot of neurosis for myself.